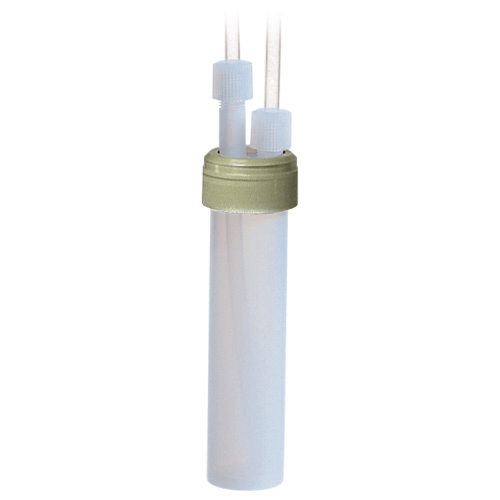 Impingers, sometimes known as bubblers, are small bottles used with an air sample pump to collect airborne hazards into designated collection liquids for analysis. For personal exposure measurement the impinger mounts in a holster accessory near the breathing zone. 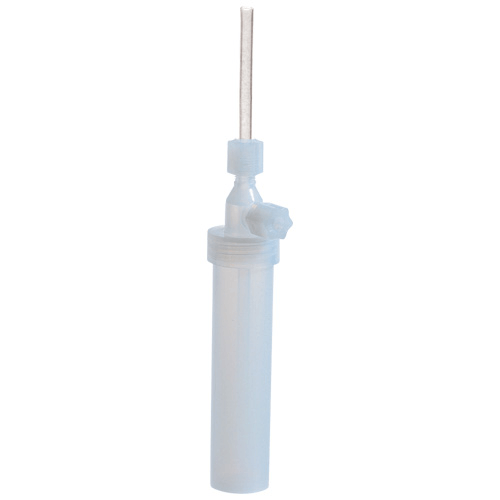 For area monitoring the impinger is mounted on the side of a pump with a holder accessory. SKC offers impingers in Pyrex® glass or PFA (fluoropolymer) to meet your applications. 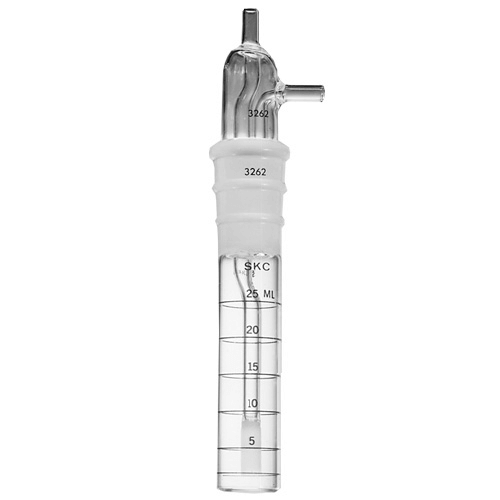 Glass Impingers have graduations in 5ml increments and available with a fritted nozzle to increase contact between the air sample and the liquid. PFA impingers are unbreakable, inert to virtually all chemicals and perform well in high temperature and cryogenic applications. 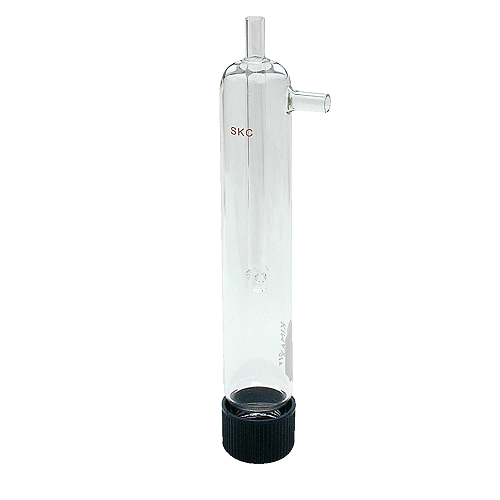 SKC laboratory-quality glass impingers have graduations that are accurate to within ±0.5 ml for each increment. 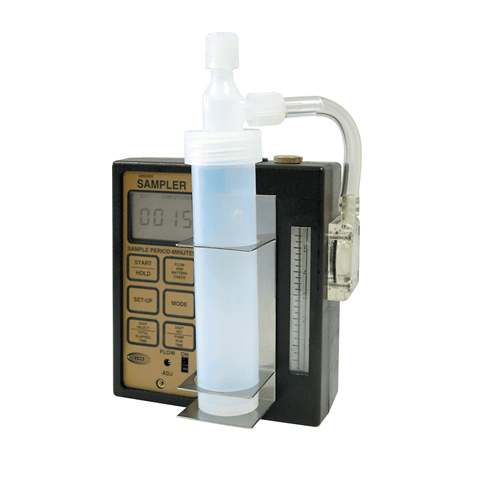 This helps reduce volumetric measurements required in the field and in the laboratory, while also saving time and money. 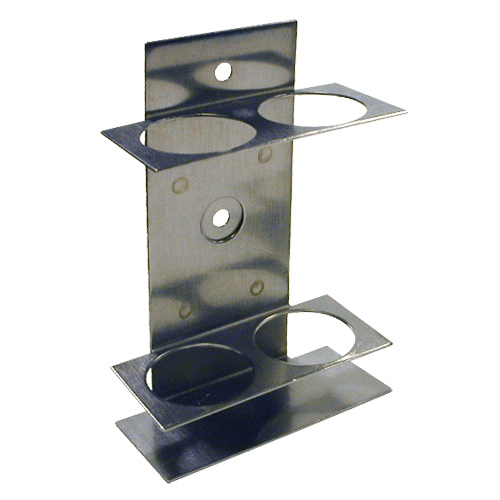 Serial numbers on both sections assist with sample identification and proper part matching. 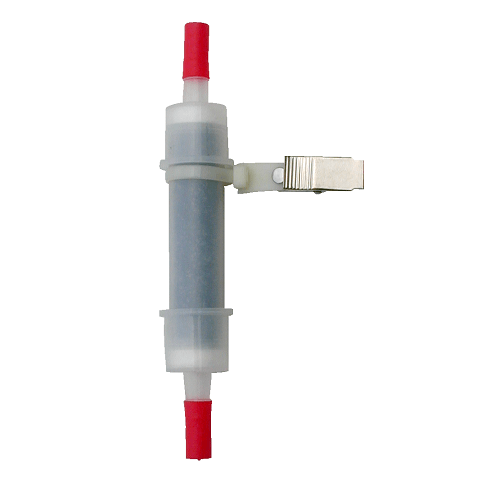 The Glass Midget impingers are available with a standard nozzle, or fritted nozzle (170 to 200 µm glass frit) which increases contact between the air sample and the liquid. Unbreakable Savillex 60 ml PFA impingers are an ideal alternative to glass impingers. 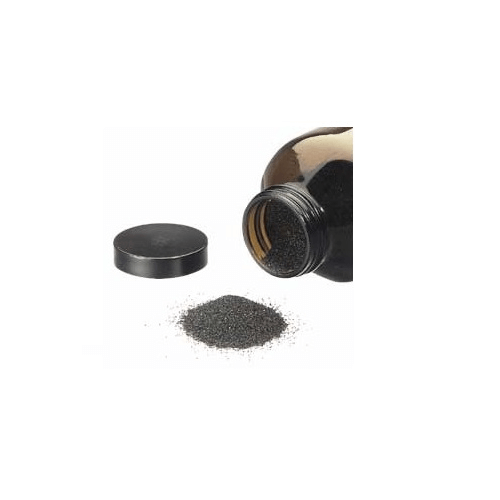 PFA impingers are safe to use and are inert to virtually all chemicals and perform well in high-temperature and cryogenic applications. SKC offers Savillex PFA impingers with two different port configurations to meet your applications, including transfer caps and ferrule nuts to provide a leak-tight seal. 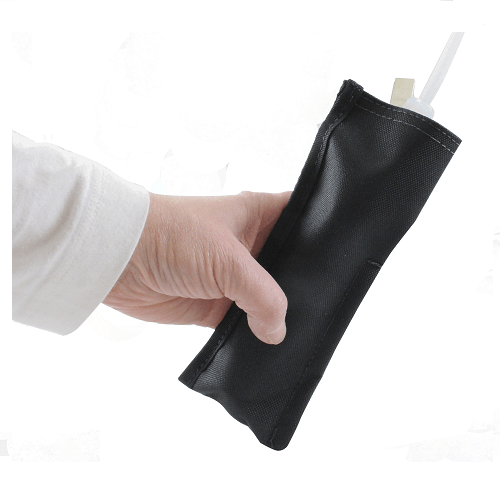 Vinyl holsters are supplied with a clip to attach to clothing, to ensure impinger is near the breathing zone. 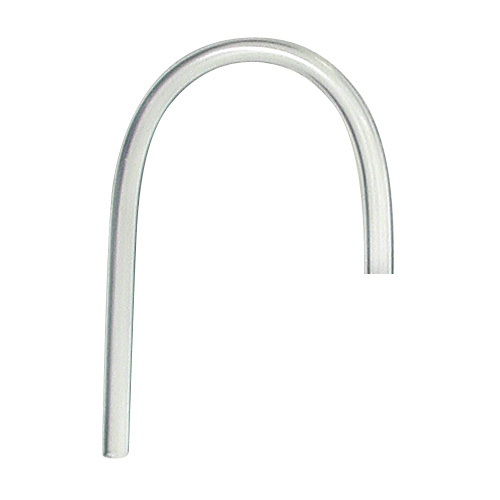 The stainless steel holders for area monitoring attach to high-volume air sample pumps. 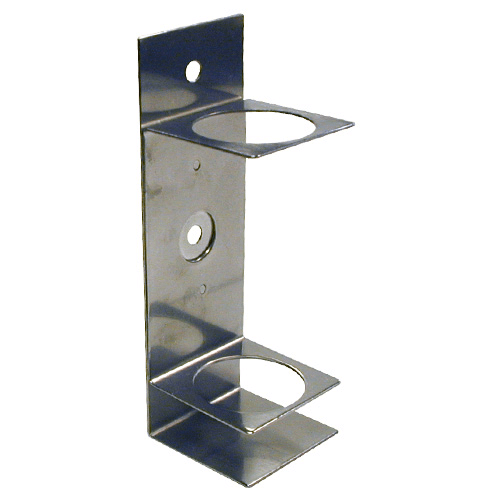 The single holder accommodates either an impinger or impinger trap; the double holder accommodates either two impingers for series operation or an impinger and trap. A trap is is used with an impinger to prevent impinger liquid from being drawn into the sample pump. Solid sorbents may be added to the trap when using a volatile liquid to protect the pump chamber from vapours.